Please leave out the arm and hand of the person. Just want the dog and background in the painting. 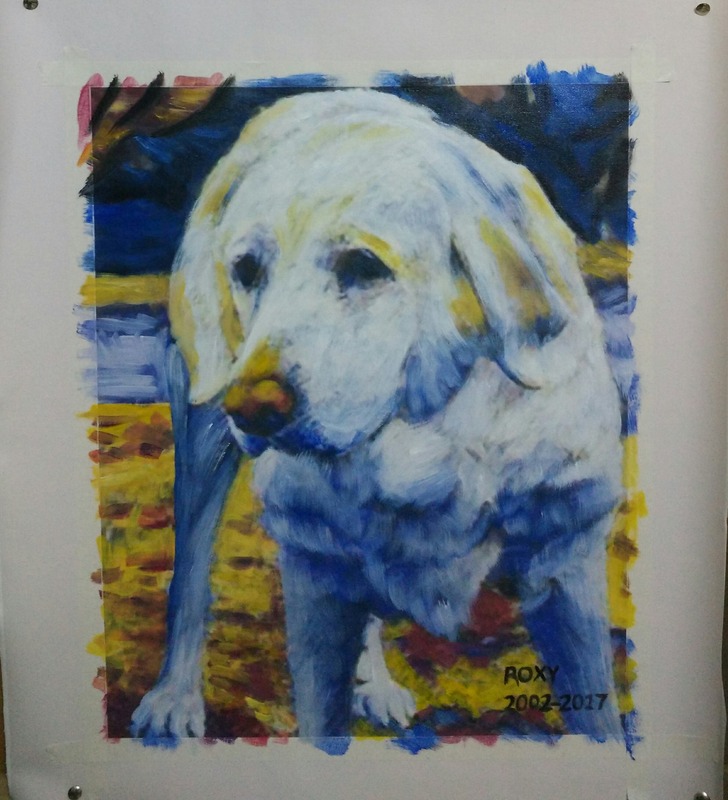 Also, at the bottom corner of the painting, please write fairly small "ROXY 2002-2017" Please contact me if there are any questions. Thank you!